French Country Chic in the Heart of the Berkshires! Mistral’s, specializing in French accessories for the Home, Bed and Bath, has been a part of the culturally-centered Great Barrington, MA, for over 20 years. The owners, Lise and Sara Bouillon, mother and daughter, have spent years traveling and living in Paris, as well as in Provence in the south of France. Mistral’s overwhelming influence speaks of the timeless beauty of French Country Living that can now become a part of your home décor. Mistral’s also offers a wonderful selection of gifts for any occasion. 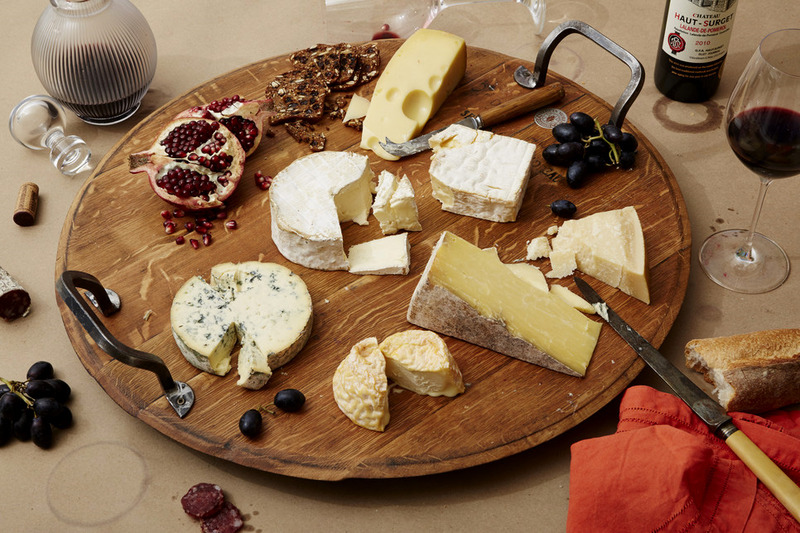 A handsome collection of French oak wine barrel tops create a collection of artisan’s Provence and Vintage Platters. All have authentic Cooper’s marks, are thirty or more years old and are fitted with rugged wrought iron hand-forged hardware. The surfaces are food-safe, finished with high grade beeswax. This is a unique and one of a kind platter. Each piece varies in terms of markings and exact patina.